It is similar to dating app Tinder in that it allows people to connect with others based on their location, with users ‘swiping’ to accept or decline talking to someone based on their profile picture. It is also linked to photo-sharing app Snapchat, which allows users to send temporary pictures that disappear after no longer than ten seconds. As soon as two users swipe to accept each other, they are automatically added as ‘friends’ on Snapchat, meaning they can begin sending each other photos right away – even if they don’t know each other. Our advice would be for people not to share any personal information with strangers online. 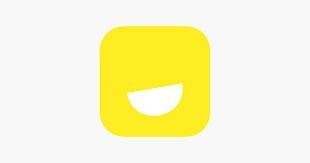 The app appears as a yellow box and as always we would advise parents to check and monitor their children’s use of social media. If you have a safeguarding concern regarding a student please contact Student Support on 01926 493805 ext 284 and ask to speak to someone on our Safeguarding Team. If it’s out of school hours and urgent, please call Warwickshire County Council’s Evening and Weekend Emergency Duty Team on 01926 886922.